Henry Green was born in 1956 in Port Simpson to a family and community rich in tradition. His earliest training in carving was alongside his father, who also taught him the trading language of Chinook. He has been influenced by the work of renowned artists such as Don Yeomans and George Clutesi. 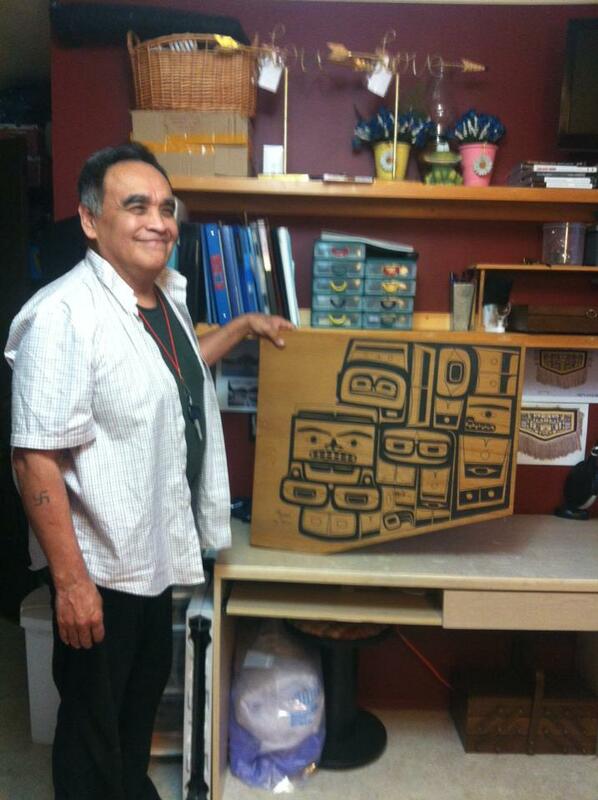 He has been fortunate enough to apprentice under the expert tutelage of well-known Haida artist, Freda Diesing and to have worked alongside accomplished Haida carvers Alvin Adkins and Garner Moody. In the 1980’s he completed formal art training at the Emily Carr College of Art and Design in Vancouver, BC and at the Institute of San Miguel D’Allende in Mexico. Henry creates high end engraved jewelry as well as totem poles and other carvings. He is also very involved and committed to preserving his land, language and culture. Click to view a bracelet by Henry Green.